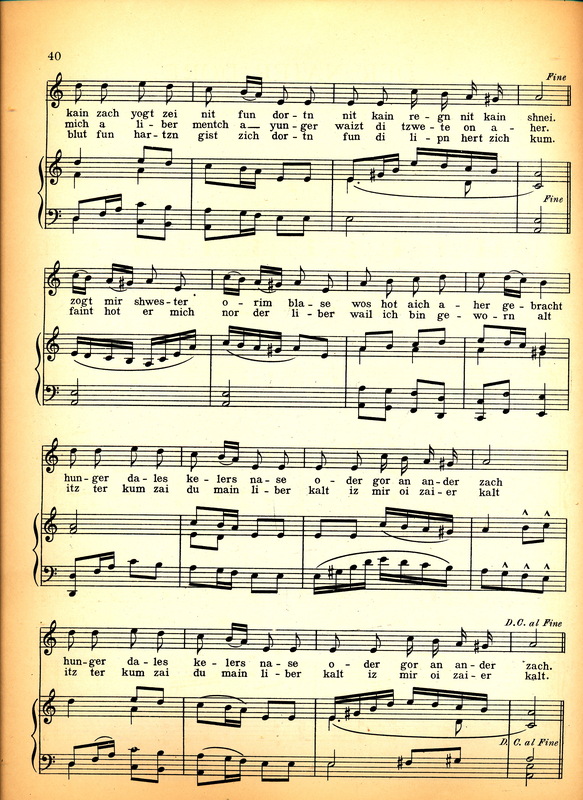 This week we present a song about streetwalkers with three different melodies. 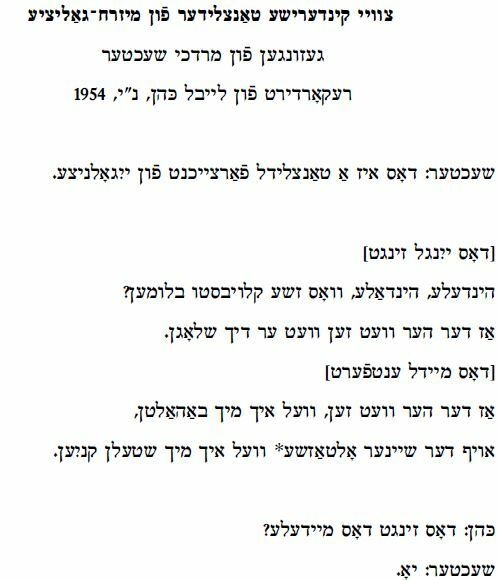 “Afn veg tsim zimergurtn” (On the Way to the Summer Garden) was learned by Beyle Schaechter-Gottesman [BSG] in Chernovitz in the 1930s. This field recording was done in her home in the Bronx in 2010, when BSG was 90 years old. 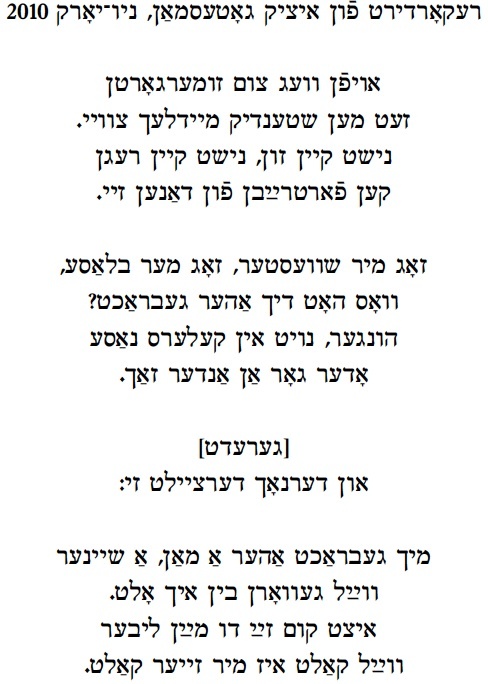 The original poem is by A. L. [Aron Leyb] Baron (1886 – 1954), but does not appear in the only printed collection of his poetry, Di yidishe brodvey un and ere lider (New York, 1949). 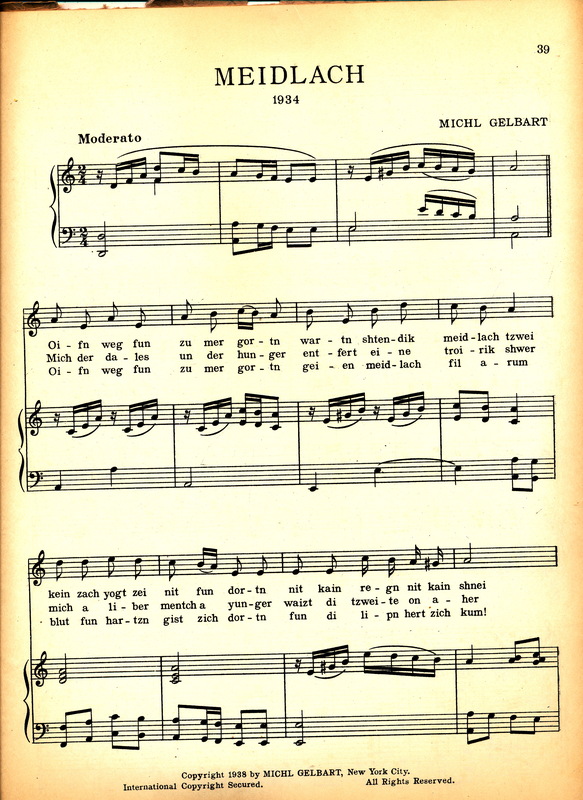 The entire poem appears in one of Mikhl Gelbart’s collections of his own musical compositions, Gezangen [Songs] (1937) with the complete text and with Gelbart’s music. It is entitled “Meydlekh” [Girls]. 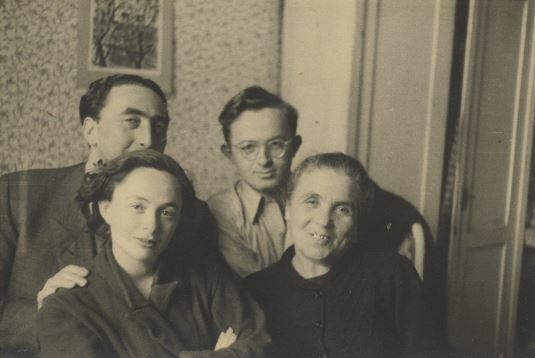 There was a third melody composed by Bernard Maitlin, sung by Vera Rozanka “Di yidishe shikse”, entitled “In gortn” [In the garden]. 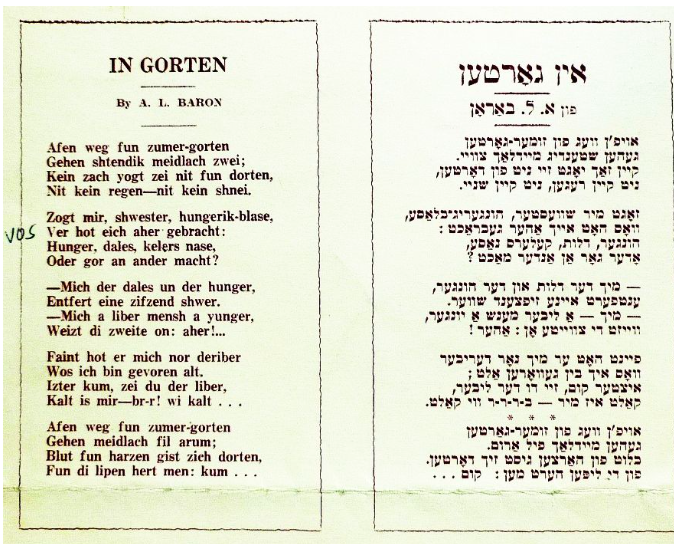 On the Polish Jewish Cabaret website of Jane Peppler she sings Maitlin’s melody and prints the songsheet from 1936 which includes the original poem by Baron, in Yiddish. 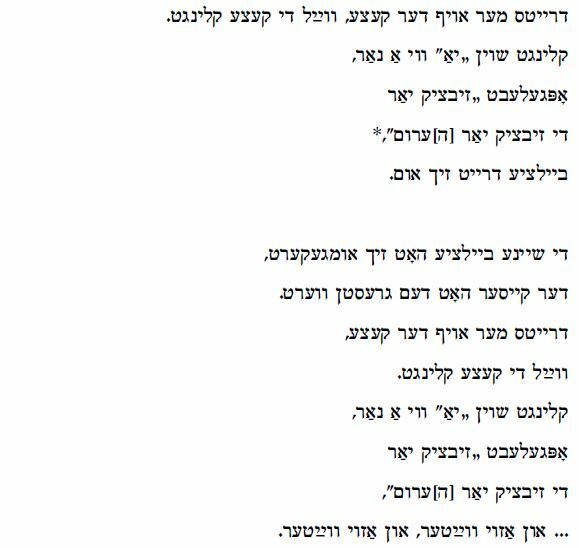 We are grateful to Jane for making available the songsheet page as well as her translation and transliteration and refer you to her website where you can hear her sing this version. On the path from the summer garden, two girls are always walking. Nothing can drive them away, not rain, not snow. Tell me, hungry pale sisters, what brought you here? Was it hunger, poverty, the damp of a cellar, or something else completely? “For me, it was poverty and hunger,” answered one, sighing heavily. “For me, it was my love, a younger man,” the other one points: here! “He hates me just because I’ve grown old. On the path from the summer garden girls wander.